Return setting off tax on output and input supplies to determine net tax payable to be filed by 20th of the next month (GSTR 3). 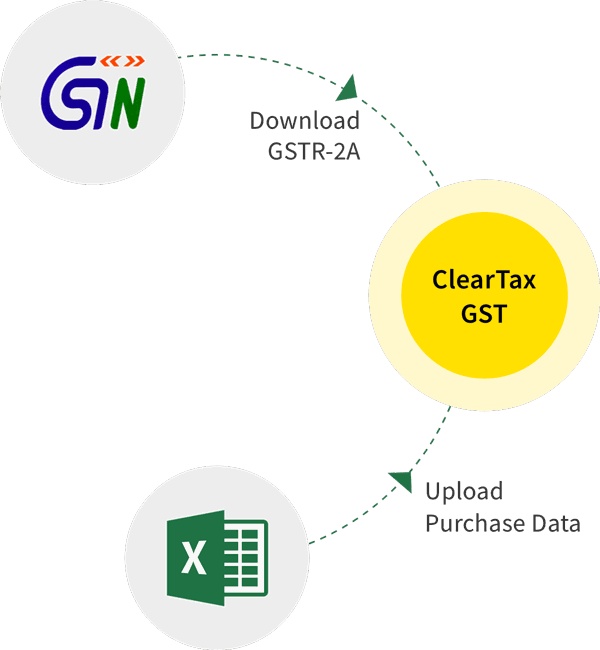 During this transition period, the GSTR Forms currently in force are GSTR 1 and GSTR 3B. However, we are slowly moving towards the filing of all the intended GST returns on their respective due dates and it is high time we make sure that the way we account for our GST dues are in order. Electronic Liability Ledger: This ledger shows the tax liability payable by the assessee and can only be cleared when it is set off against either the electronic credit ledger or electronic cash ledger or both. Electronic Credit Ledger: This leger depicts the credit tax available if any. Electronic Cash Ledger: This ledger maintains details of tax payments made by the assessee which can be used to set off tax liabilities as displayed by the Electronic Liability Register. Thus, if we want to truly make sure that our accounts are in line with the GST portal we will need to account for the above ledgers and also pass monthly closing entries. The output tax liability is determined through this form initially and hence our entries will reflect the same. On which CGST = Rs. 27,000 and SGST = Rs. 27,000. Word of advice: Maintain separate sales accounts for B2B, B2C, Export, Exempt, inter-state sales and even supplies liable to reverse charge. Making an exempt supply will not lead to any output tax liability but will still have to be disclosed in the Form GSTR – 1 and thus proper records will need to be maintained in this regard. Without payment of tax (IGST): The goods or services may be exported without paying any IGST thereon under a bond or Letter of Undertaking after following the prescribed conditions. With payment of tax (IGST): The goods or services may be supplied after charging the applicable IGST and subsequently, the refund for such IGST can be claimed. 25.04.2018 Mr. Z A/c ………………..Dr.
IGST Refund Receivable A/c ……….Dr. Advance for goods/ services A/c ……….Dr. GST on advance received A/c ……….Dr. Advance for goods/services A/c ……….Dr. 25.04.2018 Mr. A’s A/c ………………..Dr.
August Sales (B2B / B2C) A/c ……….Dr. Since extra tax was paid, this amendment in the invoice has the effect of reducing the output tax payable in the month of August. Since short tax was paid in an earlier month, the output tax liability for the month of August would be increased by the difference in tax liability and interest would be charged accordingly at the time of payment. Electronic Credit Ledger CGST A/c ……….Dr. Electronic Credit Ledger SGST A/c ……….Dr. Electronic Credit Ledger IGST A/c ……….Dr. Expense (T1 / T2 / T3 / Te) A/c ……….Dr. The treatment would be similar even in the case of capital goods being used to make an exempt outward supply. Provisional Input CGST A/c ……….Dr. Provisional Input SGST A/c ……….Dr. Provisional Input IGST A/c ……….Dr. Electronic Liability Ledger CGST A/c ……….Dr. Electronic Liability Ledger SGST A/c ……….Dr. Electronic Liability Ledger IGST A/c ……….Dr.